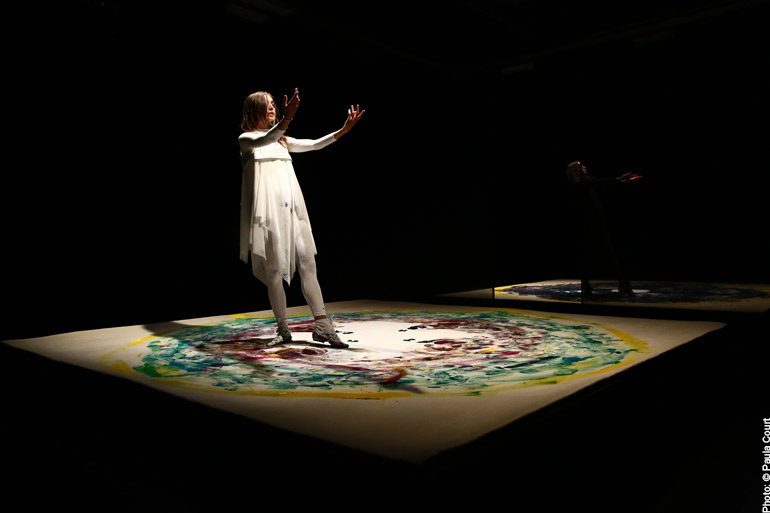 With September Spring conceptual artist Sam Falls created a performance-based work in collaboration with dancers Hart of Gold (Jessie Gold and Elizabeth Hart). 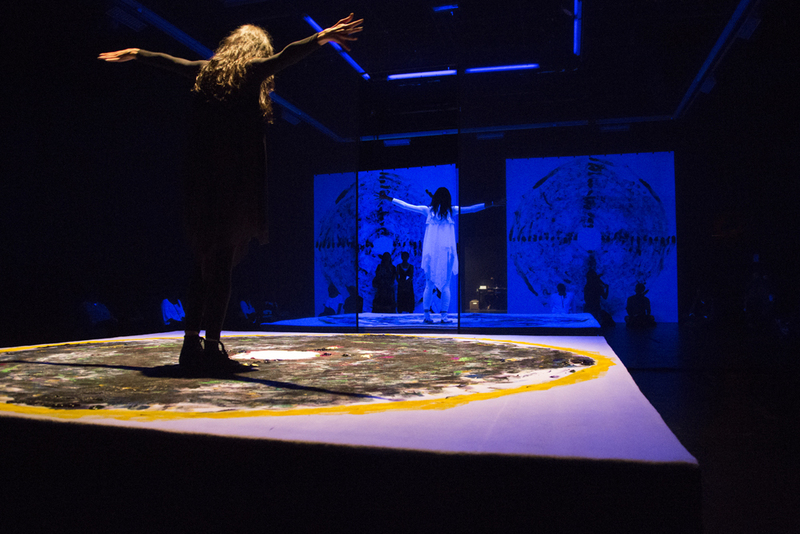 The soundtrack for the performance was provided by Oldd News, also known as the musician and poet Jamie Kanzler, Falls' god-brother who passed away at the age of 24 in 2013. 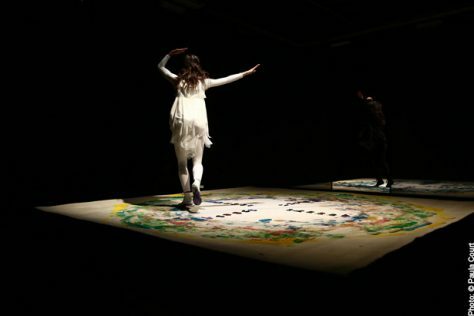 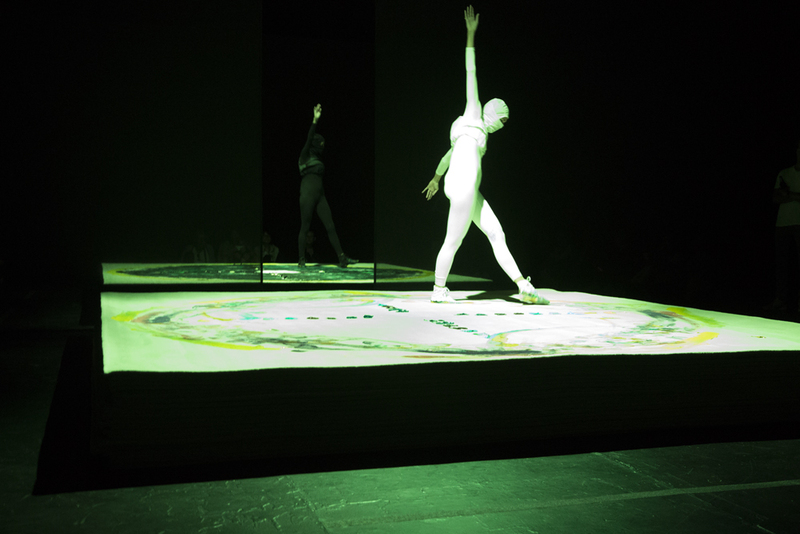 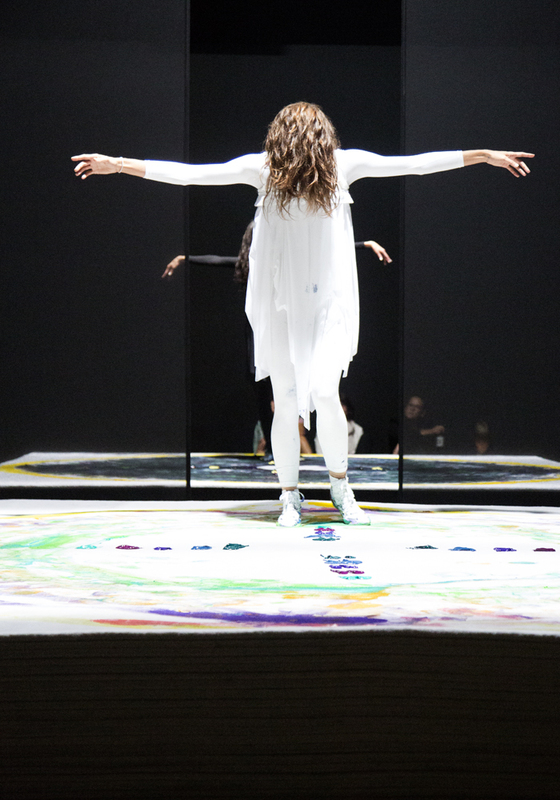 Largely symbolic of the passage of time, as well as focused on the ephemeral nature of works, the exhibition called for performers to execute a dance atop carpet flooring 24 times over the run of the exhibition. 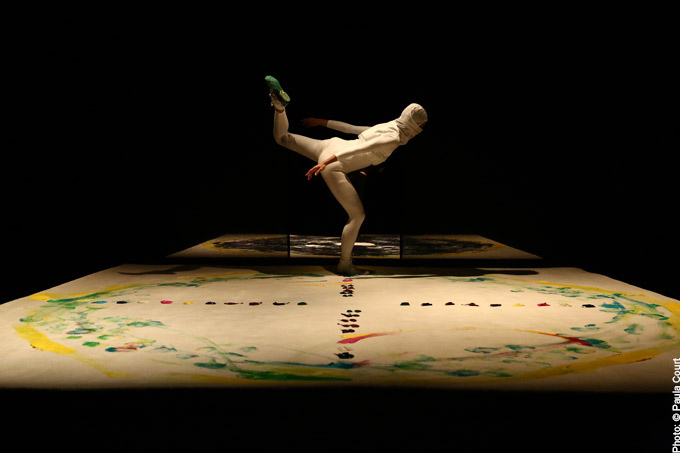 The choreographed sequences, performed in circular motions and blending paint colors on the carpet, created the 24 paintings Falls displayed in The Kitchen's gallery after completion. 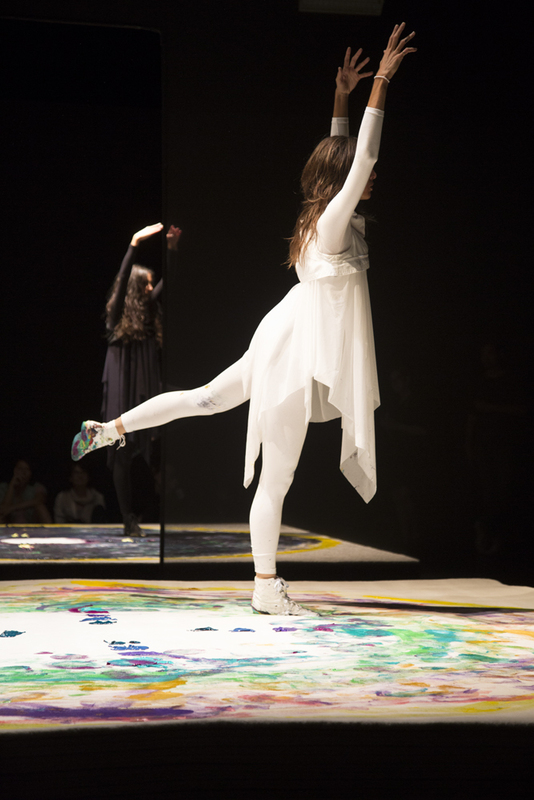 September Spring was curated by Lumi Tan.